Though it is officially still a few days off, spring has sprung in the Mid-Ohio Valley! With that comes the big basketball tournament which means parties and get togethers as well! One thing I always struggle with, when planning a soiree, is what to make for a dessert. You don't want anything too fussy or messy because people are mingling, and they don't want to be bothered with a lot of plates and forks. 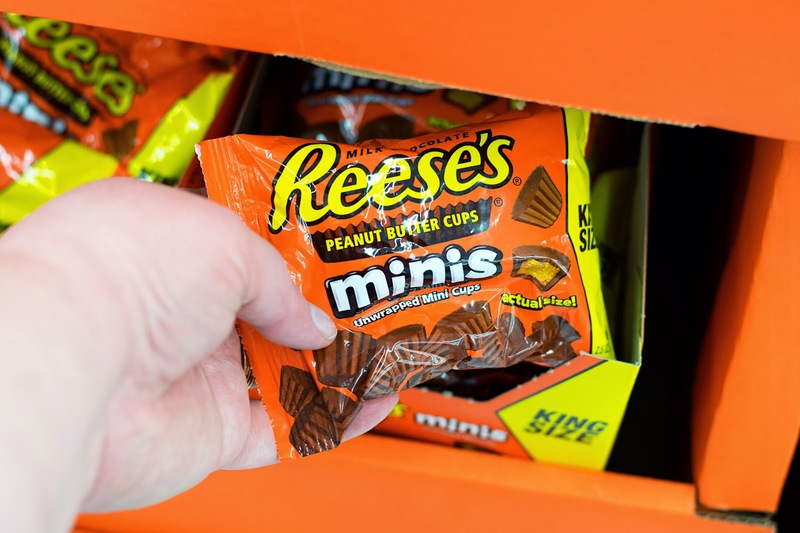 So that is when I go to bite-sized finger foods and, in my humble opinion, there is no bite-sized treat yummier than a Reese's Cup. 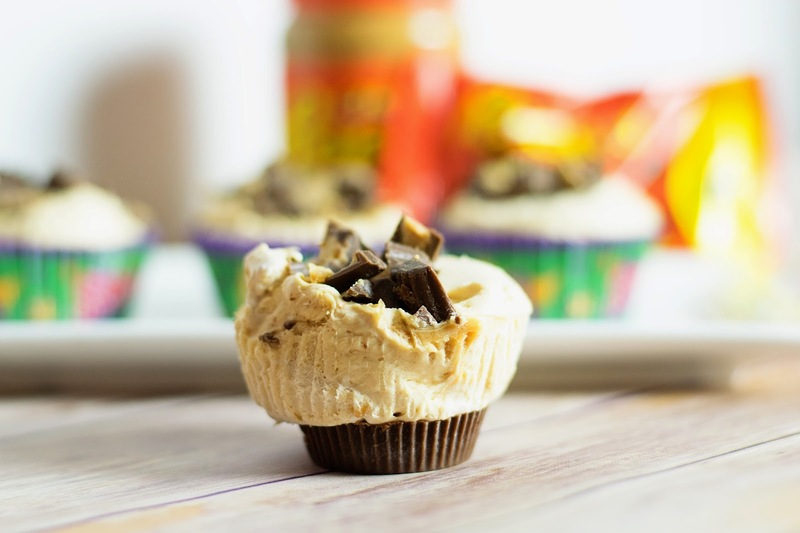 I mean, how can you improve upon peanut butter/chocolate perfection? 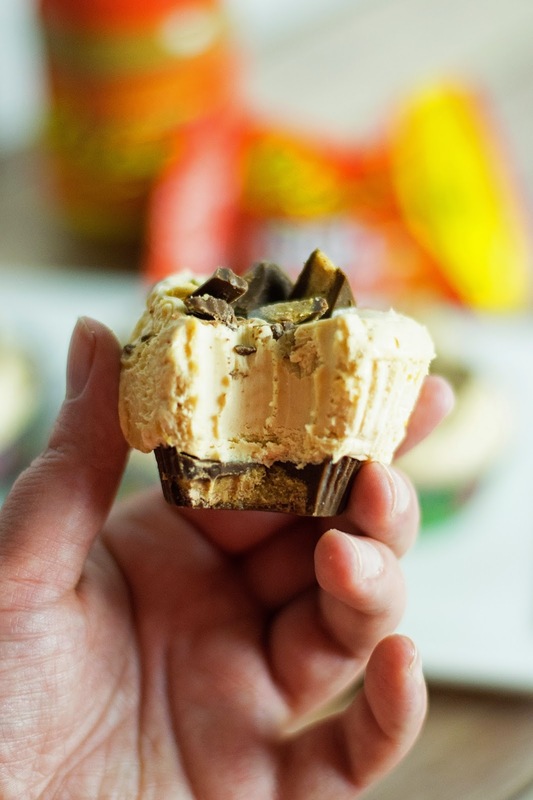 Well, what if you turned that peanut butter/chocolate perfection into a REESE'S Mini Peanut Butter Pie? Oh yes, you heard me right! These mini pies are OUT-OF-THIS-WORLD and I can't wait to show you how I made them! So when I was looking for a place to purchase my REESE'S cups, I knew that the best variety could be found at my local Vienna Walmart. Sure enough, right in from of the book section was the REESE'S display. But I also found these adorable Minis for topping as well! After grabbing a couple more things that I needed, I headed home to get started. To begin you will need to place your ROOM TEMPERATURE cream cheese into a mixing bowl. And vanilla extract to the bowl as well. Then mix everything together until everything is smooth and "frothy". Next you will want to line your cupcake pan with paper liners. Now we are going to make the crust. Instead of a graham cracker or cookie crust that you would usually see in a peanut butter pie, I am going to use a REESE'S Cup. Simple place one peanut butter cup in the bottom of each section. Now it is time to add the filling. Using an ice cream scoop, or two spoons, fill each wrapper. Then, with a knife, spread out the filling so that it is level with the pan. Sprinkle them on each pie. Place the cupcake pan in the freezer for 2 hours or over night. Adorable little bite sized peanut butter pies, PERFECT for any and all get togethers! The REESE'S Cup makes the most scrumptious crust, and it couldn't be easier! OH-EM-GEE! You will not believe how INSANELY delicious these little guys are! 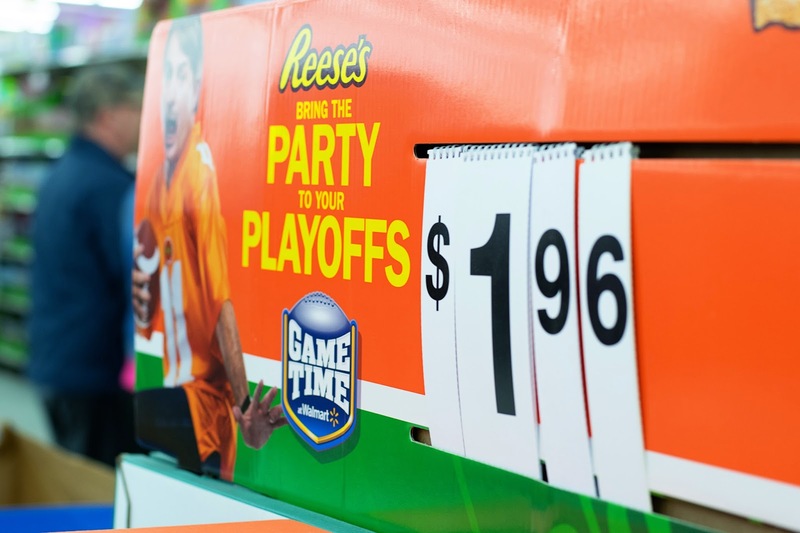 No matter what the outcome of the game is, the MVP of your party will definitely be these REESE'S Mini Peanut Butter pies! So, do you have an awesome game day snack ideas? If so, head on over to www.ReesesSnackTalk.com to enter your recipe for a chance to be NATIONALLY recognized! In a mixing bowl, combine the cream cheese, peanut butter, cool whip, powdered sugar, and vanilla. With a stand or hand mixer, mix until everything this is smooth and frothy. In your cupcake tin, line each section with a wrapper. 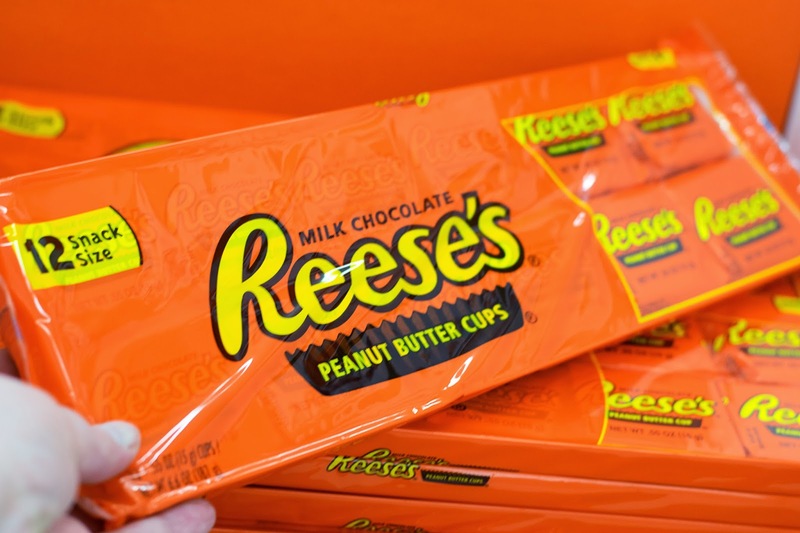 Place a REESE'S Cup in the bottom of each section. Now add the peanut butter pie filling to each cup, leveling it out with a knife. 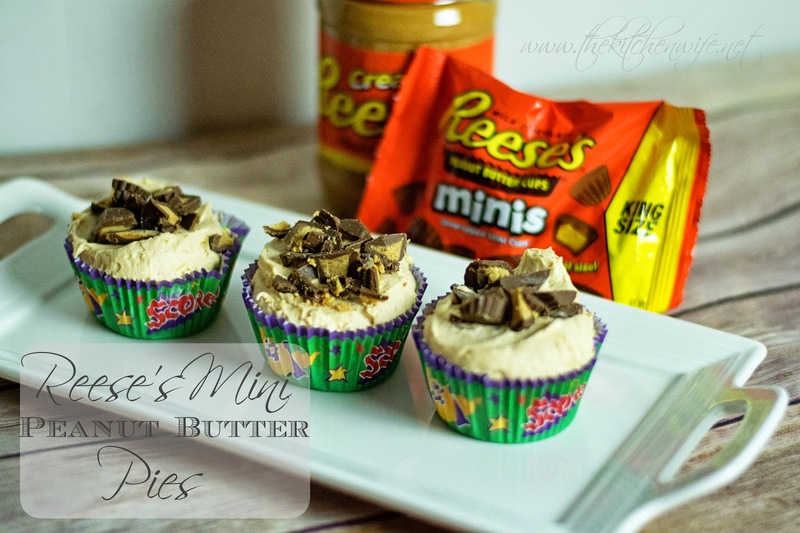 Chop the mini REESE'S cups into pieces and sprinkle on the top of each pie. Place in the freezer for 2 hours to overnight.